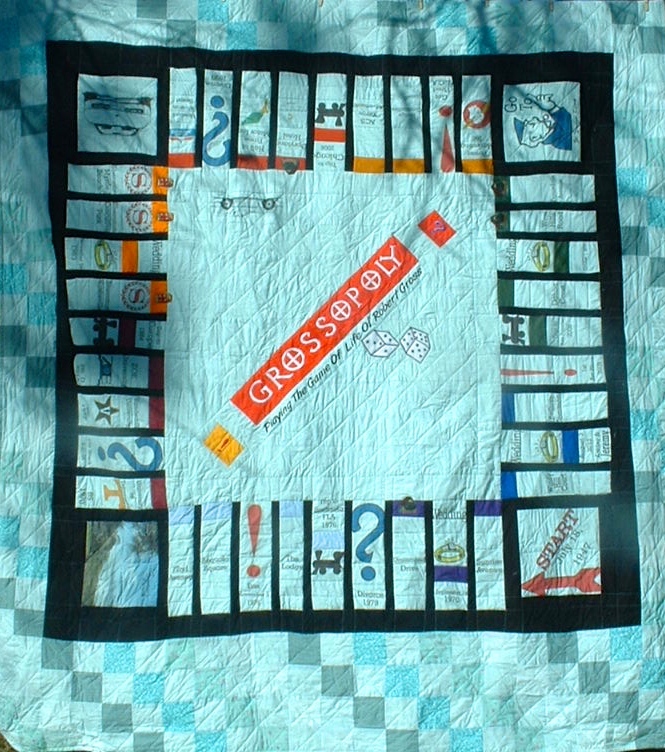 A quilt I designed that depicts the major events of my life in the context of a board game. Let me design one for you. Mary Calvert at Mary’s Custom Quilts did all of the sewing and implementation.